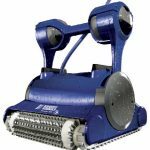 Advanced Filtration System –To ensure proper removal of debris, dirt and algae matter from the pool while cleaning, the Pentair Prowler 820 utilizes its advanced internal filtration system which helps circulate chemicals thoroughly in the pool. 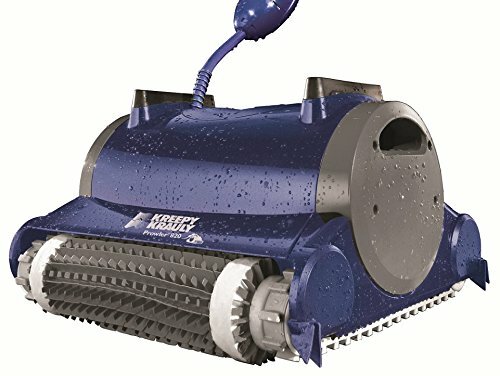 Auto Reverse Feature –Most automatic pool cleaners hang up around pool corners or physical objects while cleaning but the Pentair Prowler 820 comes with a built-in Auto Reverse feature to ensure uninterrupted and efficient cleaning performance throughout the pool. Full Cartridge Indicator which lets the pool owner or user know when the Pentair Prowler needs cleaning or attention. Superior Design of the Pentair Prowler 820 ensures easy handling and storage. 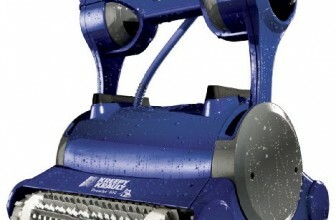 Also, the tangle free 60-foot cable is convenient to use and move freely while pool cleaning. Ultra Fine filter porosity to clean and remove all types of dust and dirt particles from the pool. The Pentair Prowler 820 measures 19-inch length by 19-inch width by 23-1/2-inch height. The Pentair Prowler 820 has powered tracks which keeps the unit solid and stable even while climbing pool walls or slopes. It is inexpensive to operate at less than 20 cents per day. With its integrated filters, the Pentair Prowler 820 reduces run time and saves you considerable amount of pool cleaning costs and minimizes wear and tear to the machine. 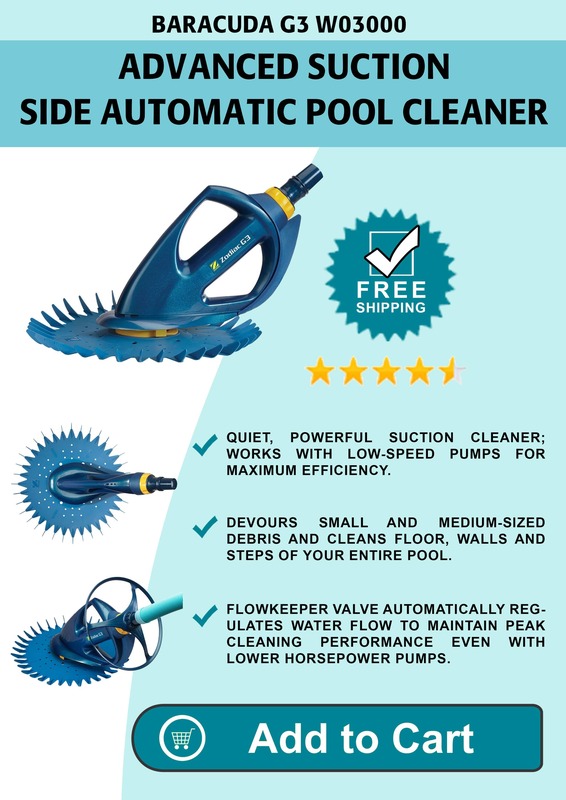 It has a superior swivel design and an anti-tangle 60 foot cable for optimum and hassle-free pool cleaning performance every time. 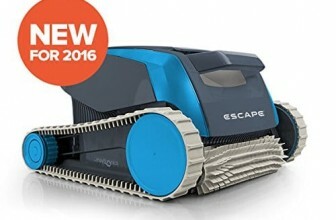 With the Pentair Kreepy Krauly Prowler 820 Auto Pool Cleaner, the company has produced a winner in pool cleaning. 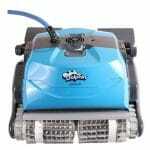 Apart from its lightweight and portable form factor which is highly useful while pool cleaning, the Pentair Prowler 820 also employs advanced filters which thoroughly cleans your pool while minimizing wear and tear. 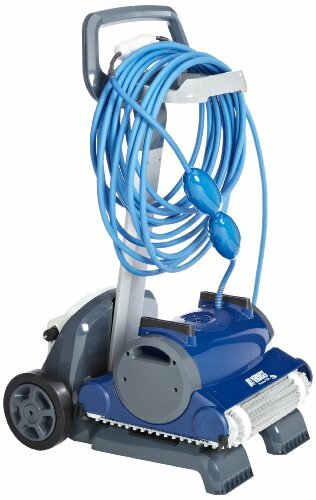 With its swivel-free cable and auto reverse feature, the Pentair Prowler does a fine job of pool cleaning with added convenience and ease for pool owners. 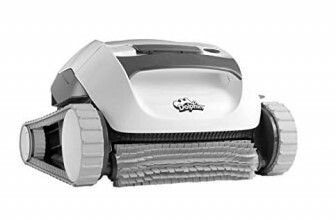 The package also comes with a pool caddy for easy transportation and all the components of this robotic pool cleaner are certified to UL standards for safety.